Source: This article originated from the blog of author Bronnie Ware. Based on this article, Bronnie has released a full-length book. It is a memoir of her own life and how it was transformed based on the regrets of the dying people she cared for. 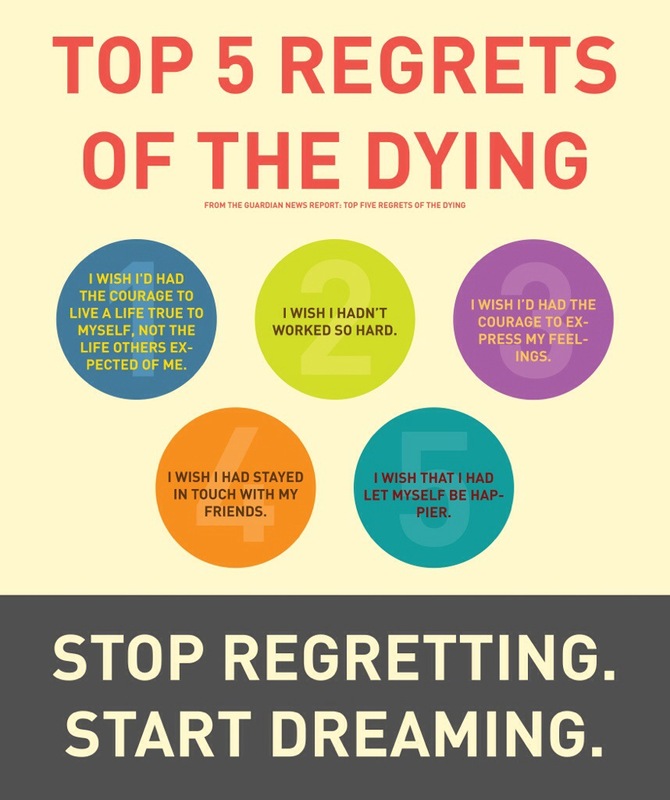 The book is available from major online bookstores and is called ‘The Top Five Regrets of the Dying – A Life Transformed by the Dearly Departing’.